Born: October 10,1982 in Kharkiv, Ukraine. Education: Kharkiv State Academy of Design and Arts. His parents, Victor Chumachenko and Natalya Boychuk are Ukrainian painters too. 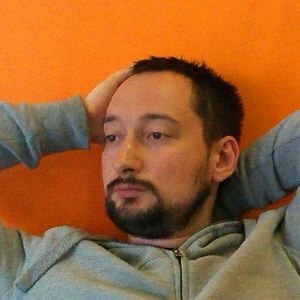 Now Andrey Chumachenko works as a web designer in Kyiv. Besides painting and web design, he practices yoga and charitable activities.